Great selection of outfits this week!!! Love the USA top in your pic!! Love the Olympic inspired outfit! Too cute :) Happy Friday! Your it lists are just an eye party! I love all the great outfits you pick! Great posts, love all the outfits! Lovely blog! Check out mine? This is so great! I love when you share these great new blogs and inspiration! Pretty awesome roundup. I hate to say, the Olympic shirt got my attention first! Loved the entire bunch! Great list. You got some very stylish ladies. Fashionista, fashionista! 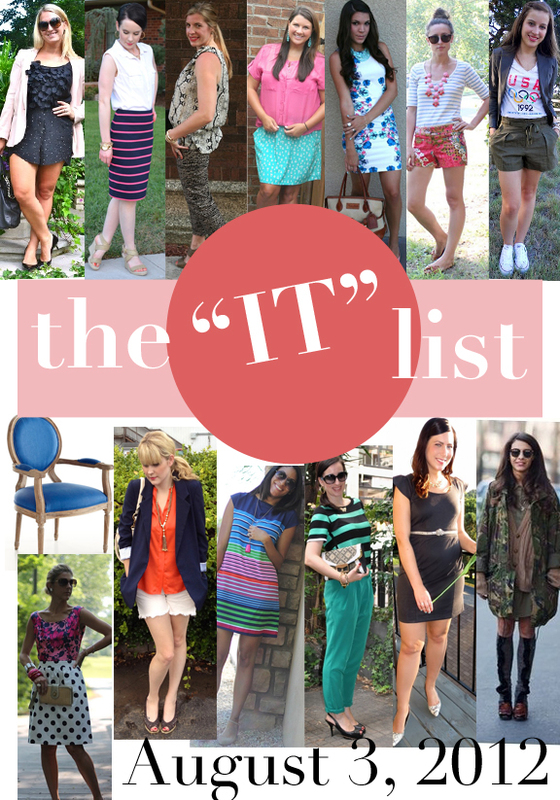 Loving this week's "It List" I did my first OOTD post finally today lol. I hope you'll stop by and check it out! This is a wonderful post. Great blog dear!